See the full list of new items on the WoWDB PTR site. Kings' Rest Defeat Dazar in Kings' Rest. 10 points. on Mythic difficulty. 10 points. Siege of Boralus Defeat Viq'goth in Siege of Boralus. 10 points. on Mythic difficulty. 10 points. In Teldrassil's Shadow (Hidden Character Achievement) (New) Complete the Tyrande's Ascension storyline. Reward: 'Night Warrior' Night Elf Customization. Gotta Bounce (New) Defeat the Restless Cabal in Crucible of Storms after having at least 10 Void Crashes active simultaneously in Normal Difficulty or higher. 10 points. Now We Got Bad Blood Defeat Vectis in Uldir after infecting Warmother Rakkali with Plague Bomb then defeating her on Normal difficulty or higher. 10 points. Focused Growth Reduces the mana cost of your Lifebloom by 15% 25%, and your Lifebloom also applies Focused Growth to the target, increasing Lifebloom's healing by 15% 25%. Stacks up to 3 times. PvP Talent. PvP Talent. Requires Druid. Requires level 40+. Overgrowth Instantly applies Lifebloom, Rejuvenation, Wild Growth, and Regrowth's heal over time effect to the target. PvP Talent. PvP Talent. 40% 30% of Base Mana. 40 yd range. Instant. 45 sec cooldown. 1 sec global cooldown. Requires Druid. Requires level 40+. Barbed Shot Fire a shot that tears through your enemy, causing them to bleed for [ 40% [ 50% of Attack Power ] damage over 8 sec. Sends your pet into a frenzy, increasing attack speed by 30% for 8 sec, stacking up to 3 times. Generates 20 Focus over 8 sec. Requires Ranged Weapon. 2 charges. Hunter - Beast Mastery Spec. Hunter - Beast Mastery Spec. 40 yd range. Instant. 12 sec recharge. 2 charges. Dalaran Brilliance (New) Modify your Arcane Intellect's look to that of the Kirin Tor's Dalaran Brilliance. Minor Glyph. Minor Glyph. Dalaran Brilliance (New) Modify your Arcane Intellect's look to that of the Kirin Tor's Dalaran Brilliance. Minor Glyph. Minor Glyph. 1.5 sec cast. Surging Mist Heals the target for [ 160% [ 128% of Attack Power ] and increases the healing they take from Surging Mist by 50% for 6 sec. Stacks up to 2 times. PvP Talent. PvP Talent. 2% 3.8% of Base Mana. 40 yd range. 1.5 sec cast. 1 sec global cooldown. Requires Monk. Requires level 40+. Way of the Crane Increases your Physical damage by 35% 25%, you remove and become immune to all snare and root effects and you heal up to 3 nearest allies for 200% 150% of all damage done. Lasts 15 sec. PvP Talent. PvP Talent. 25% of Base Mana. Instant. 60 sec cooldown. Requires Monk. Requires level 40+. Light's Reckoning Erupt with Light upon death. Deals 33,337 3,878 Holy damage to enemies within 8 yards and heals allies for 33,337 3,878. Lightforged Draenei Racial. Lightforged Draenei Racial. Roiling Storm Every 2 seconds, reduce the cost of your next Stormstrike by 2 Maelstrom and increase its damage by 53. This effect stacks up to 15 times. Your Stormbringer-empowered Stormstrikes deal 69 additional damage. Every 20 seconds, gain Stormbringer. A Stitch in Time - Delitha's Synchronous Thread (New) Allows you to mend tears in the fabric of time. Limited to 1 target. 9 yd range. 8 sec cast (Channeled). Blackhand Doomcutter (New) Wounds the target for 140 damage. Approximately 0.25 procs per minute. Bleakblade of Shahram (New) Summons the infernal spirit of Shahram. Approximately 0.25 procs per minute. Diamond Barrier Every 10 sec, gain an absorb shield for 501 531, up to a maximum absorb of 2,505. 2,655. Enveloping Protection Envelop up to 5 allies in the targeted area in shared shields for 10 sec, preventing up to 2,646 3,430 damage taken by any of them. Damage prevented is increased when affecting multiple allies. 50 yd range. Instant. 2 min cooldown. Gift of Wind Your spells have a chance to increase your Haste by 307 and your Speed by 93 413 and your Speed by 124 for 15 sec. Approximately 1.5 procs per minute. Gladiator's Emblem Increases maximum health by 15,998 for 15 20 sec. Instant. 1.5 min cooldown. Gladiator's Safeguard Falling below 25% 3,500% health grants you a shield that absorbs 3,500 damage for 10 0 damage for 6 sec. This effect may occur once every two minutes. Heal Restores 16,669 health. Instant. Restores 2,041 health. Instant. Incandescent Luster While no allies are within 5 yds of you, gain 23 19 Critical Strike every 2 sec. 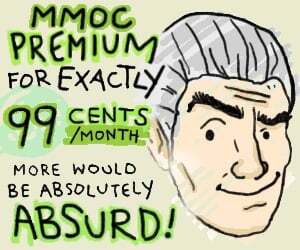 At 10 applications of this effect, you also gain 70 59 Mastery. These effects slowly fade when allies are nearby, unless they also bear this item. Invocation of Yu'lon Command an invocation of Yu'lon to strike your target, dealing 1,082 1,429 Nature damage split among them and all nearby enemies. Deals increased damage when striking multiple targets. 50 yd range. Instant. 1.5 min cooldown. Kimbul's Razor Claw Your damaging attacks have a chance to claw your target, causing them to bleed for 207 153 Physical damage over 6 sec. Clawing the target from behind will leech 50% of the damage done. 50 yd range. Approximately 4 procs per minute. Mallet of Thunderous Skins (New) Increases Haste by 25% for all party and raid members. Lasts 40 sec. Allies receiving this effect will become Exhausted and be unable to benefit from Bloodlust, Heroism or Time Warp again for 10 min. Instant. 5 min cooldown. Mallet of Thunderous Skins (New) Allows you to interact with Drums of Primal Might, empowering you in some way. Mirror of Entwined Fate Restore 3,063 Restore 4,197 health to the target, but inflict a curse on yourself that absorbs the next 1,021 healing you receive. 50 yd range. Instant. 2 min cooldown. 30 sec global cooldown. Obsidian Armor When struck by a non-periodic damage spell you have a 30% chance of getting a 6 sec spell shield that absorbs 350 320 of that school of damage. Perculia's Peculiar Parrot (New) Right Click to summon and dismiss Perculia's Peculiar Parrot. Battle Pet. Battle Pet. Instant. Petrified Willow (New) Deals 32 Nature damage every 3 sec to all enemies within an 0 yard radius of the caster for 30 sec. Approximately 1 proc per minute. Primal Rage Enter a primal rage, dealing 4,055 3,490 Physical damage split among nearby enemies over 4 sec. Deals increased damage when striking multiple targets. You cannot move or use abilities during your rage. Instant. 1.5 min cooldown. Refreshment Restores 35,756 health and 17,880 mana over 20 sec. Must remain seated while eating. If you spend at least 10 seconds eating you will become well fed and while out of combat heal for 670,442 1,800 every 5 sec for 60 min. Instant. Returning (New) Returns the user to the Port of Zandalar. 2 sec cast. Rhan'ka's Escape Plan Hide, Goldtusk Gang-style! Can only be used in Kul Tiras and Zandalar. Melee range. Instant. 15 min cooldown. 1 sec cast. Silas' Stone of Transportation (New) Summons an all-seeing eye for 2 min who will teleport you to a nearby safe haven instantly. 100 yd range. 3 sec cast. Silas' Vial of Continuous Curing (New) Restores 33,337 health. Instant. 60 sec cooldown. Silus' Sphere of Transmutation Highlights and allows the player to interact with various cauldrons on Kul Tiras and Zandalar. Instant. Surging Waters Unleash a wave of 6 Tide Elementals that crash into your target, each exploding for 400 387 Frost damage split among all nearby enemies. Deals increased damage when striking multiple targets. 50 yd range. 2 sec cast (Channeled). 1.5 min cooldown. Synchronous Thread - Mend Rift - Channel Allows Synchronous Tailors to mend tears in the fabric of time. 15 yd range. 3 sec cast (Channeled). 9 yd range. 8 sec cast (Channeled). Tempest Caller Empowerment (New) summons bolts of lightning on all enemies within 30 yards, dealing 13,877 Nature damage. Trident of Deep Oceans Empowerment (New) engulfs the target in murky water, dealing 397 Frost damage every 3 seconds and lowering enemy damage done by 148 for 15 sec. Upgrade (New) Upgrade an heirloom weapon allowing it to increase in power up to level 120. Only works on heirlooms that scale to level 110. 2 sec cast. 1 sec global cooldown. Upgrade (New) Upgrade an heirloom armor, trinket, shield or off-hand allowing it to increase in power up to level 120. Only works on heirlooms that scale to level 110. 2 sec cast. 1 sec global cooldown. V.I.G.O.R. Engaged Your Critical Strike increases by 44 0 every 2 sec, capping at 264 0 Critical Strike for 6 sec, then decreasing and turning off for 6 sec, cycling every 32 sec. 40 yd range. Instant. Void Stone Empowerment (New) drains 486 life from up to 5 nearby allies and unleashes a blast of Shadow damage at your current target equal to the life stolen. Instant. Glyph of Dalaran Brilliance (New) Inscription. Inscription. 1.5 sec cast. Reagents: Light Parchment, Ink of the Sea x 3. Drums of Primal Might (New) Create a Drum of Primal Might. Leatherworking. Leatherworking. 3.5 sec cast. Reagents: Supple Hides x 2, Etched Bones x 3, Cleaned Brilliant Scales. Mallet of Thunderous Skins (New) Create the Mallet of Thunderous Skins. Leatherworking. Leatherworking. 2 sec cast. Reagents: Coarse Leather x 5. Synchronous Thread (New) Create Synchronous Thread. Tailoring. Tailoring. 2 sec cast. Reagents: Monelite Ore x 5. Arathi Basin (New) - Brawl. Level: 120. Players: 8-15. Rated players: 10. Map: Arathi Basin AI Test. Atal'Dazar (Normal) - 5 players. Level 108-120. Map: Atal'Dazar. Difficulty: Normal. 119. 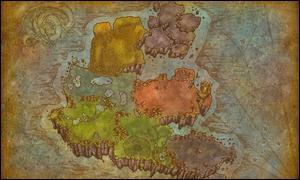 Map: Atal'Dazar. Difficulty: Normal. Freehold (Normal) - 5 players. Level 108-120. Map: Freehold. Difficulty: Normal. 119. Map: Freehold. Difficulty: Normal. Random Battle for Azeroth Dungeon (Normal) - 5 players. Level 110-120. Map: Zandalar. Difficulty: Normal. 119. Map: Zandalar. Difficulty: Normal. Shrine of the Storm (Normal) - 5 players. Level 108-120 119. Map: Shrine of the Storm. Difficulty: Normal. Temple of Sethraliss (Normal) - 5 players. Level 108-120 119. Map: Temple of Sethraliss. Difficulty: Normal. THE MOTHERLODE!! > THE MOTHERLODE (Normal) - 5 players. Level 108-120 119. Map: The MOTHERLODE!!. Difficulty: Normal. The Underrot (Normal) - 5 players. Level 108-120 119. Map: The Underrot. Difficulty: Normal. Tol Dagor (Normal) - 5 players. Level 108-120 119. Map: Tol Dagor. Difficulty: Normal. Waycrest Manor (Normal) - 5 players. Level 108-120 119. Map: Waycrest Manor. Difficulty: Normal. Timewalking Dungeon Event (New) - While this event is active, players level 101 or higher may access a special Timewalking Dungeon Finder queue, which scales players and their items down to revisit past dungeons from the Warlords of Draenor expansion. While Timewalking, bosses will yield loot appropriate for a player's natural level. Vashj'ir Diving Day - Name changed from "Vash'jir Diving Day" to "Vashj'ir Diving Day". GG Engineering has discovered luminescent creatures in the depths of Vash'jir Vashj'ir. They need your help to research the creatures before they disappear into the deep sea once again! - Win. Map: Arathi Basin AI Test. Level 100+. Suggested level: 100. Roles: 15 damage. Auchindoun (New) - Map: Auchindoun. Level 101-120. Suggested level: 100. Roles: 1 tank/1 healer/3 damage. Bloodmaul Slag Mines (New) - Map: Bloodmaul Slag Mines. Level 101-120. Suggested level: 100. Roles: 1 tank/1 healer/3 damage. Iron Docks (New) - Map: Iron Docks. Level 101-120. Suggested level: 100. Roles: 1 tank/1 healer/3 damage. Shadowmoon Burial Grounds (New) - Map: Shadowmoon Burial Grounds. Level 101-120. Suggested level: 100. Roles: 1 tank/1 healer/3 damage. Skyreach (New) - Map: Skyreach. Level 101-120. Suggested level: 100. Roles: 1 tank/1 healer/3 damage. The Everbloom (New) - Map: The Everbloom. Level 101-120. Suggested level: 100. Roles: 1 tank/1 healer/3 damage. Random Timewalking Dungeon (Warlords of Draenor) (New) - Level 101-120. Roles: 1 tank/1 healer/3 damage. 8.1.5 Allies - Final Ship (JAK) - Name changed from "Kul Tiran Flagship" to "8.1.5 Allies - Final Ship (JAK)". No doubt your adventures in new lands keep you very busy, but a matter has arisen at the Trueshot Lodge that I fear requires someone of your unique expertise. I hope you will meet me at the hunter's hall with all available haste. A dear friend of mine is in danger! P.S. I am much less fixated on death these days, but everyone knows my title, and such things are difficult to shake once established. I'm certain you understand. BFA_PVP_SEASON_DESCRIPTION_TWO - Higher item level rewards from Conquest More powerful weekly Conquest rewards! COMMUNITIES_GUILD_FINDER_DESCRIPTION2 (New) - A guild is a tight-knit group of players who want to enjoy the game together. By joining a guild, you'll gain access to many benefits, including a shared guild bank and a guild chat channel.|n|nUse this tool to find a guild that fits your playstyle. ERR_BATTLEGROUND_JOIN_RATED_TOO_MANY_HEALERS (New) - You can not enter a rated battleground with more than three healers. GUILD_MOVE_COMPLETE - The guild move process is complete. Please visit |HurlIndex:1|h[this web page]|h for more information. MYTHIC_PLUS_SEASON_DESC1 - Higher item level rewards Item level of dungeon rewards has increased! MYTHIC_PLUS_SEASON_DESC2 - Each mythic level is now more difficult Enemies in Mythic dungeons have grown more powerful! Continuing to update the old maps for hi-def, I see. Hopefully they get around to redoing the old load screens, too. Dalaran Brilliance, oh great, I can't wait to buy it a second time. Ew, no. Hi-def revamps for all! 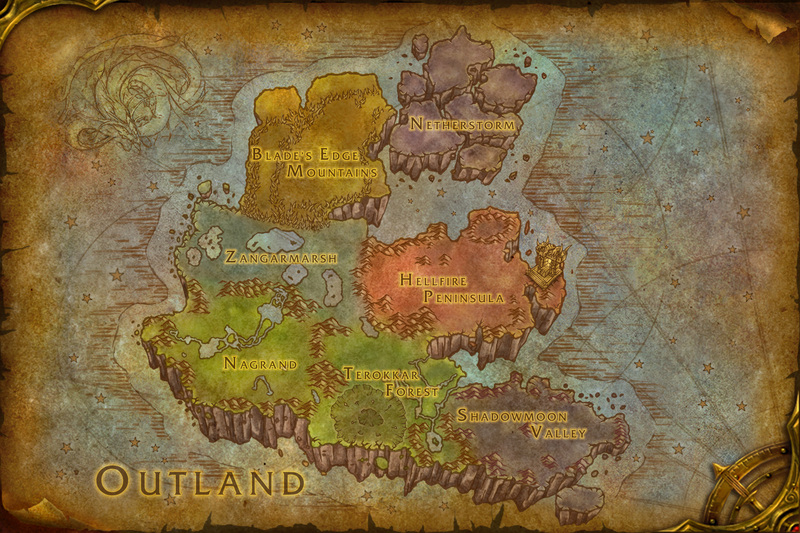 updated outland maps look awesome...idk why that excited me so much. 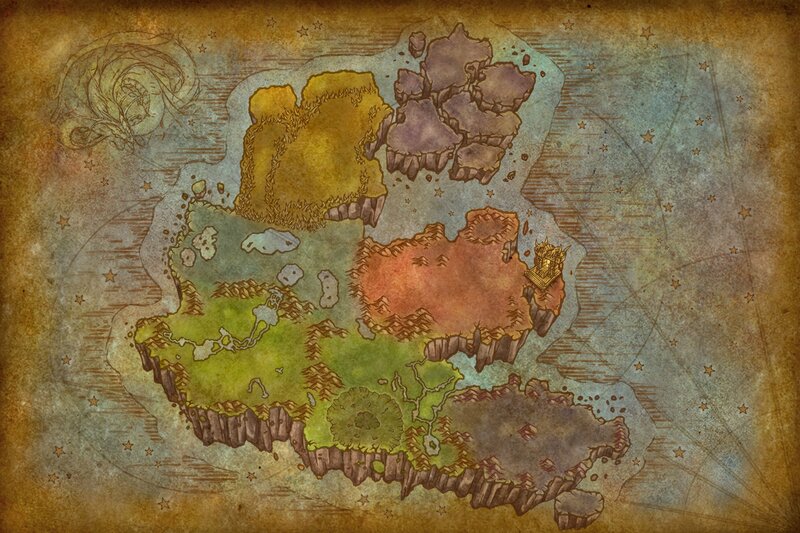 Two of the outland maps are absolutely identical to the old ones. Only the taxi map is different, with added points of interest. I just opened my in-game map, and they are very improved. Noticeably too. I'd avoid crossing any busy streets until you get the eyes checked. 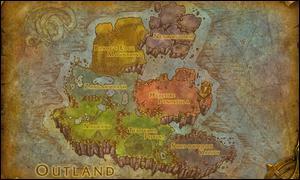 I compared against the outland map on wowpedia and they looked identical. So either wowpedia is wrong, already updated to the new maps, or you're wrong. Shrug. Are u actually crazy Blizzard..!!! Why cant you let us queue into a dead bracket with more than 3 Heals..?? We paid for this game and we cant play like we want to play..??! !